The New York Times recently broke a story about President Donald Trump’s family fortune and some tax issues surrounding it, and within hours the New York Department of Taxation and Finance launched an investigation into the allegations contained in the story. Donald Trump’s tax situation has long been a contentious issue, ever since he broke with tradition and refused to divulge his tax returns as a presidential candidate. There has been at times hysterical speculation with regard to his personal fortune, or lack thereof, and the sources and streams of money that flow through his businesses. The gist of the article claims that the Trump family illegally avoided gift and estate taxes when transferring money and assets from one generation to the next. This post will examine the nature of the allegations and what they really mean. What Is the Gift Tax or the Estate Tax? Most people in this country will not have to worry about estate or gift taxes because they will not give gifts or leave estates that exceed the exemption amounts. As a general proposition, gifts that exceed a certain amount and estates that are larger than a certain amount, will have a tax levied on them. Even though the estate tax rate is graduated, with a top rate of 40%, in 2017 the average effective rate for those actually affected was 17%, because of the exclusion. The current state of the Estate Tax is a unified credit that exempts the first $11.18 million of combined value from gift and estate taxes. Married couples can combine their individual exemptions, so their combined exemption is $22.36 million. What this means is that over their lifetime donors can make up to that amount in gifts or have an estate that large before any gift or estate tax will be payable. There is no clawback or phase-out, so once the exemption level is surpassed, only the amount over it is subject to the tax. These particular lifetime exemption amounts are established by the Tax Cuts and Jobs Act (“TCJA”), and are scheduled to sunset after 2025, when the previous exemption of $5.49 million (adjusted for inflation) will apply. However, when Fred Trump, the father of Donald Trump died in 1999, and Mary Trump, his mother, died in 2000, the estate tax exemption was much lower: $650,000 for 1999 and $675,000 for 2000. These are also the same amounts for the gift tax exclusion for each stated year. The top estate tax rate at this time was 55%. However, there are still annual individual limits that can provide additional giving opportunities without tax being payable. The current annual individual limit for gift exclusion is $15,000 per person gifted per donor, which means a person can only gift $15,000 to another person before the gifts erode the exemption. The person making the gift is the one who would be responsible for the tax, not the recipient. For example, a grandmother can gift $15,000 to each of her eight grandchildren without incurring a gift tax, and if the grandmother and grandfather combine together each grandchild can receive $30,000 before a gift tax would be triggered. If the grandmother decides to gift one of the grandchildren $50,000, the grandmother would be the one to file a gift tax return, and the excess gift over $15,000 would reduce grandmother’s exemption. If the grandmother has already used up her exemption, she would have to pay the gift tax on the excess gift. The gift tax annual exemption from 1983 until 2001, roughly the time period for much of the activity examined in this article, was a scant $10,000. Why Do We Have An Estate Tax? The estate tax was first crafted in 1916 to try and ensure that wealthy paid some tax on what would be otherwise untaxed gains. The tax system requires a realization event to trigger taxability of gains, and unlike many other countries, the United States does not consider death to be a realization event to capture these latent gains. Instead, there is no realization to bring these gains into the income tax system, and because the heir receives a step up in basis equal to the fair market value on the date of death, all latent gains are erased and are never captured by the tax system. For example, if X has stock that he bought in 1995 for $10,000, and it is now worth $1,100,000, there is $1,000,000 of latent gain that only is captured on the sale or exchange or that stock. If X dies, and leaves the stock to his only daughter, Y, the latent gain is never taxed, as she gets a basis of $1,100,000, from which any future gain will be calculated. If she sells it a year later for $1,300,000, she will only have $200,000 of gain taxed. Contrast with this with the $1,200,000 of appreciation that has occurred since the stock was first purchased with tax-paid money. The estate tax is essentially a recognition that tax preferences and expenditures disproportionately favor the wealthy, such as the lower rate for capital gains. Many trusts help reduce or eliminate taxation as well. Studies have shown that a significant part of larger estates actually are unrealized capital gains – the Center on Budget and Policy Priorities estimated estates worth more than $100 million derive on average approximately 55% of their value from unrealized capital gains. The United States was founded at least partly on a disdain for inherited wealth and position, so it shouldn’t be surprising that it is an entrenched fact of the tax landscape that an estate tax should exist, even if it does only affect 0.2% of estates (and likely even less, after the passage of the TCJA). The story claims that President Trump’s public version of how he got wealthy – as a self-made man who parlayed a $1 million loan into a $10 billion empire – is false. The version outlined in the article is that his father, Fred Trump funded President Trump’s myriad of businesses. Records show that he was earning $200,000 a year at the age of three, was a millionaire by eight, and had part ownership of a fifty-two-unit apartment building by age seventeen. His father made him a salaried employee, property manager, landlord, banker, and consultant to his myriad of businesses, and paid him accordingly while taking business deductions for these amounts. It is not improper to pay someone for services provided, as long as those services are paid at an appropriate level for the work provided, the expertise brought to bear, and considering what the market would pay for similar services. If the amounts paid are not ordinary and necessary business expenses, then they should not be deductible to the recipient, and would not be income to the recipient, but rather a gift in this situation. However, these payments are not the central point of the article, just an interesting look into a story where children are paid handsomely to be “property managers”. The major allegation of improper gifting is a result of valuations that put a very low value on real estate when President Trump and his siblings took over the bulk of Fred Trump’s empire less than two years before his death. The Trump family submitted gift tax returns valuing the properties at $41.4 million, and the article states that these buildings were sold for sixteen times that amount over the next decade. One of the problems with looking at valuations at death and then over a ten-year period after transfer is that real estate markets can do weird and wonderful things in a decade, sending prices soaring. As a result, it’s hard to say off-hand whether the discrepancy is fraudulent. However, one of the properties that remained in Fred Trump’s estate was converted to a co-operative eighteen days before his death. The conversion plan filed with local government claimed a value for the building of $17.1 million dollars, yet eighteen days later the value of the same building was claimed as $2.9 million for estate tax purposes with the IRS. That’s far beyond the level of appreciation one can realistically expect in under three weeks, and does indeed raise an eyebrow about the valuation’s validity. Rampant gift tax fraud was also alleged. A specific example was given of a corporation that the Trump family formed in 1992 called All County Building Supply & Maintenance. This corporation’s stated purpose was to act as purchasing agent for buildings owned by Fred Trump, purchasing things like boilers and cleaning supplies. The article alleges, however, that no purchasing was actually done by All County, but rather purchases already made by Fred Trump’s employees were merely marked up, so the revenue that flowed through the corporation was a sham to benefit the shareholders – President Trump, his siblings, and a cousin. While income tax was paid on the revenue generated by this structure, it was at a significantly lower rate than the 55% gift tax rate. Another method of disguised gifting that is alleged was in the form of loans from Fred to Donald that were never actually repaid – millions of dollars, some with no interest, and some with no set repayment schedule. Payments were frequently skipped with no consequences. In addition to these loans, in 1987 Fred Trump invested in one of Donald’s corporations that owned Trump Palace, a 55-story condominium building, in 1987. The investment was made, whether mostly or entirely, through exchanging debt that Donald owed Fred for shares worth approximately $15.5 million. Four years later Fred sold his shares for $10,000, and according to the article the sale was to Donald, whether actually or in effect. If true, this is a significant gift to Donald by transferring what is assumed to be at least $15.5 million in value to him without a gift tax. The only way gift tax would not be payable in such a case is if the corporation was essentially bankrupt when he got rid of his shares, which is not where the evidence gathered for the article points. In addition, it seems that Fred deducted the $15.45 million loss on these shares from his income for federal tax purposes, saving $5 million in taxes as a result – only the Internal Revenue Code specifically prohibits deducting losses generated by sales of assets between family members. In a nutshell, the article alleges a long-standing pattern of wealth transfer without paying the appropriate gift and estate taxes, while also engaging in suspect income tax deductions. Now that the state of New York is investigating, we may learn more details in weeks and months to come, but certainly the allegations are serious and may have lasting repercussions – while criminal prosecution may be prevented by the statute of limitations, civil prosecution and penalties are not. 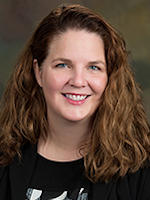 Lori A. McMillan is a Professor of Law at Washburn University School of Law. After practicing tax law for a number of years, Professor McMillan went into academia, where she enjoys teaching the next generation all things tax.